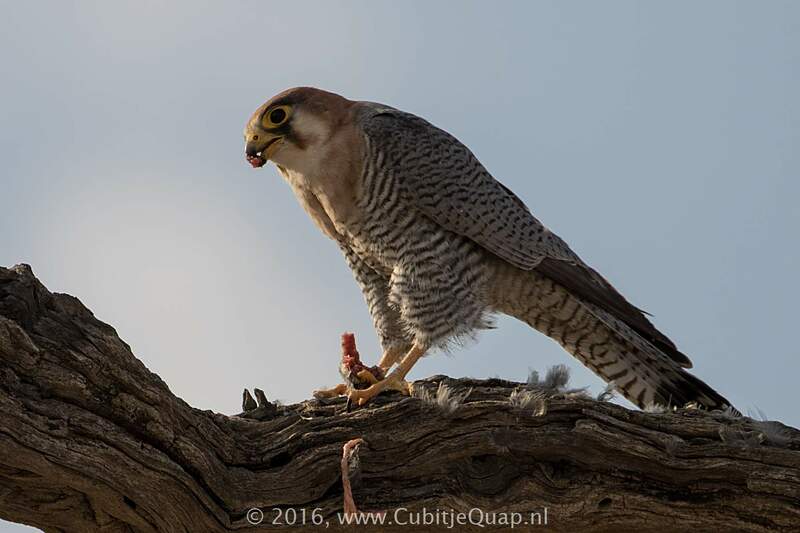 The lanner falcon feeds mainly on small to medium-sized birds, ranging from larks up to the size of ducks and guineafowl, and sometimes takes domestic poultry and even other falcons. 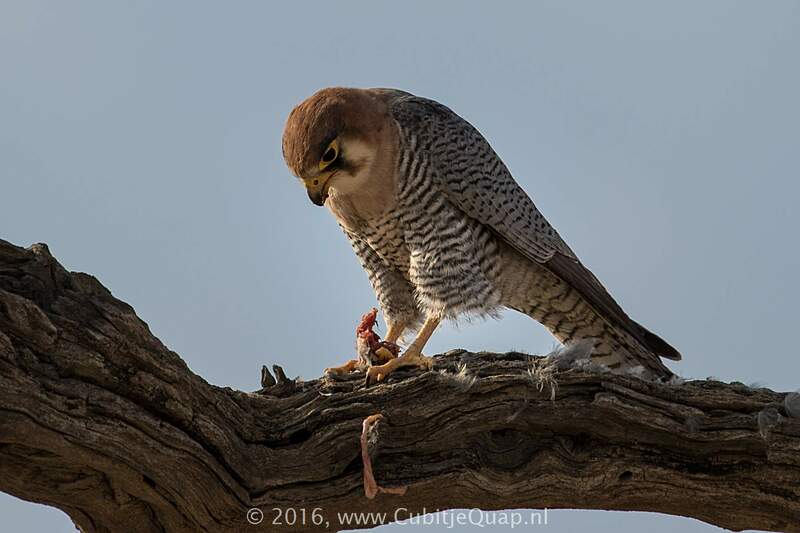 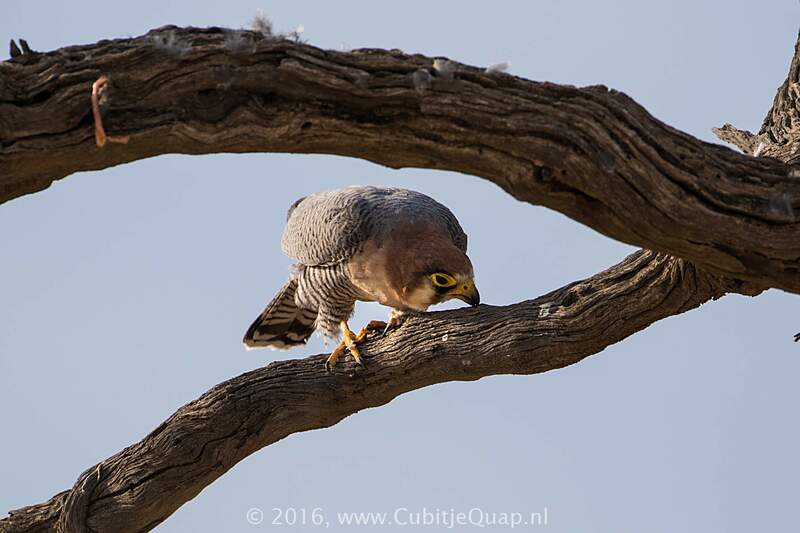 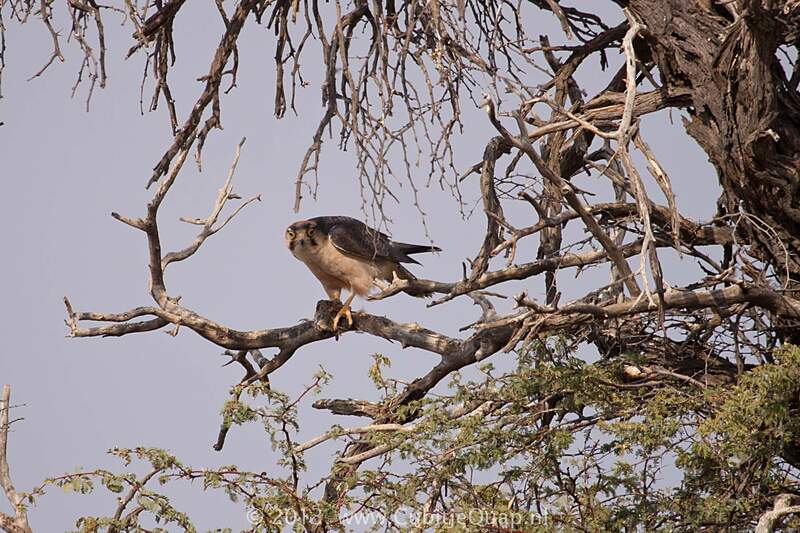 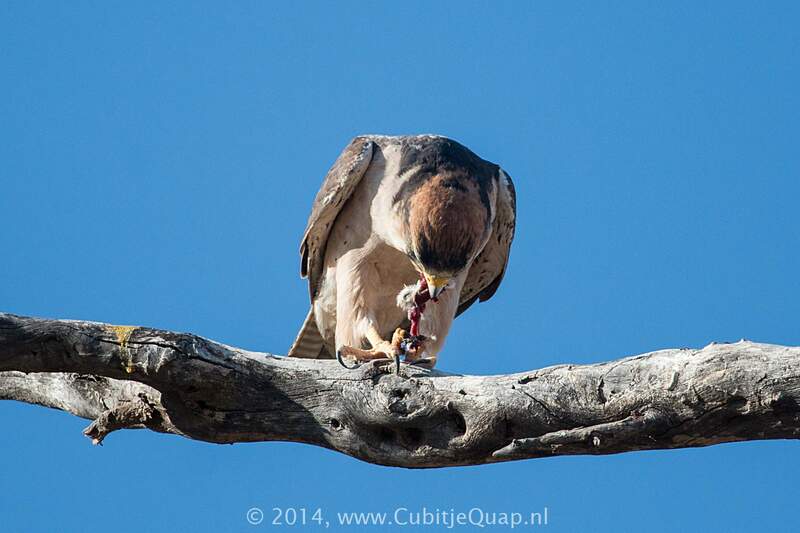 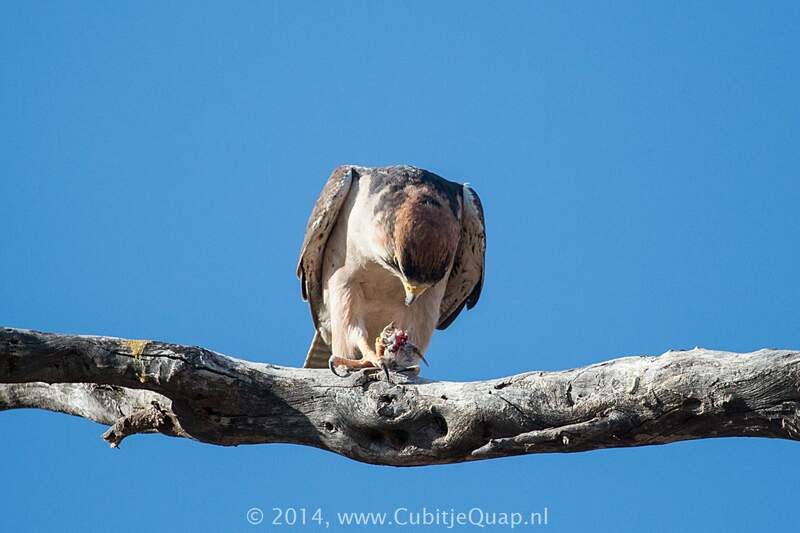 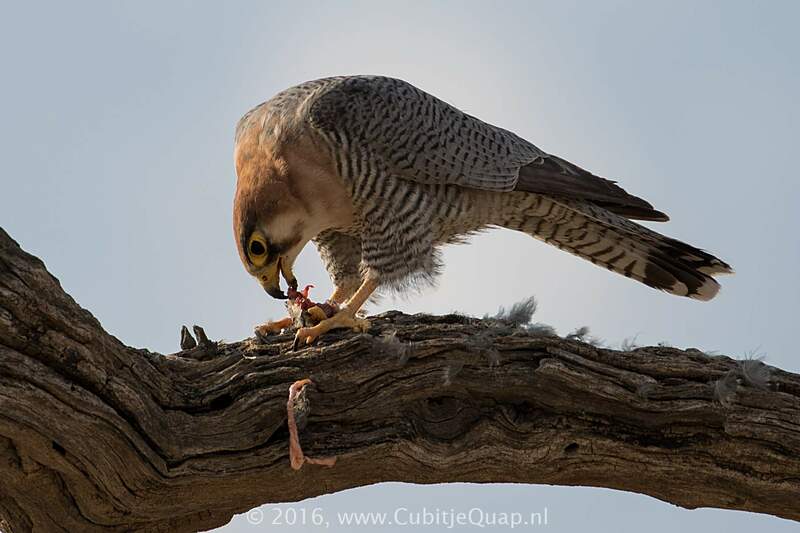 Hunting often takes place where prey congregates, such as at waterholes or colonial nesting sites, or at grass fires, where up to 20 lanner falcons may gather to feed. 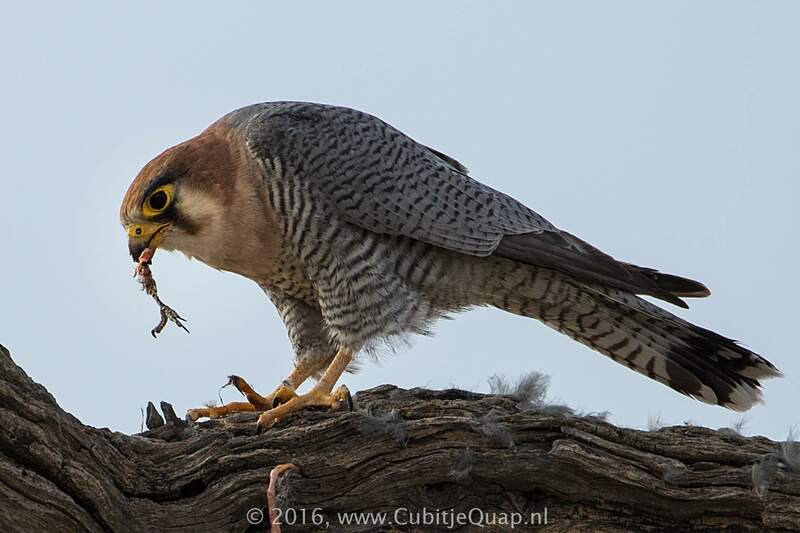 Small mammals, such as rodents and bats, may also be taken, along with insects, reptiles, occasionally carrion, and even spiders and scorpions in deserts. 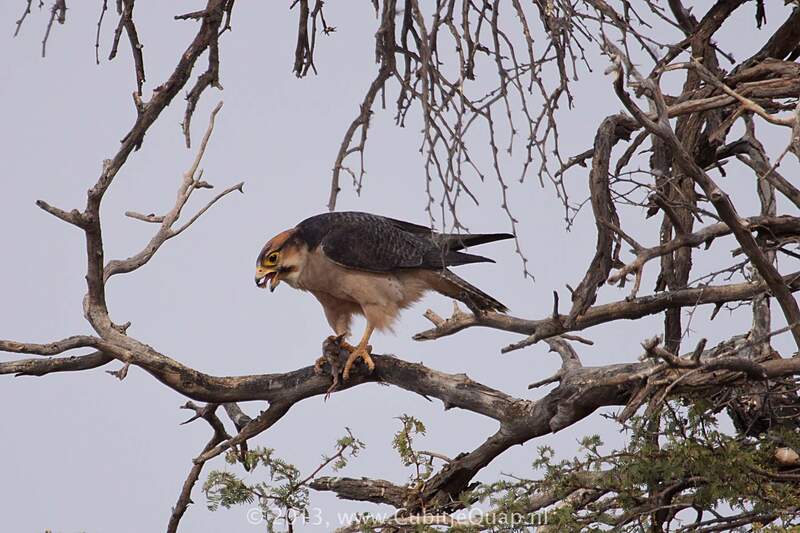 The lanner falcon usually, though not always, hunts during the day, chasing or seizing prey in the air or sometimes from the ground, and occasionally stealing food from other birds of prey. 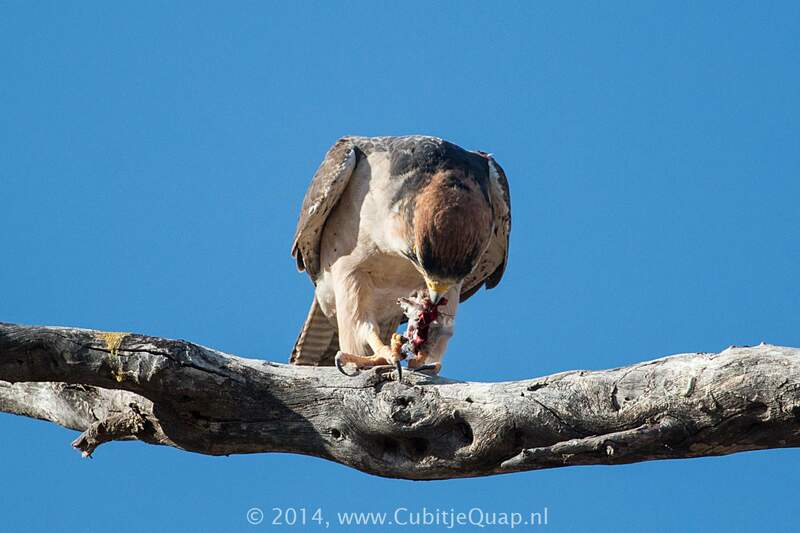 Food is sometimes caught to be eaten later. 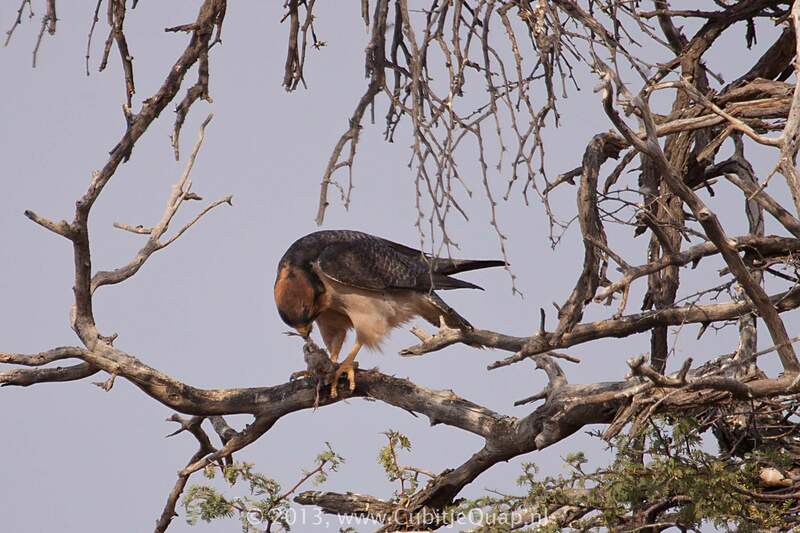 Lanner falcon pairs often hunt co-operatively, with one bird flushing out prey for the other to catch.